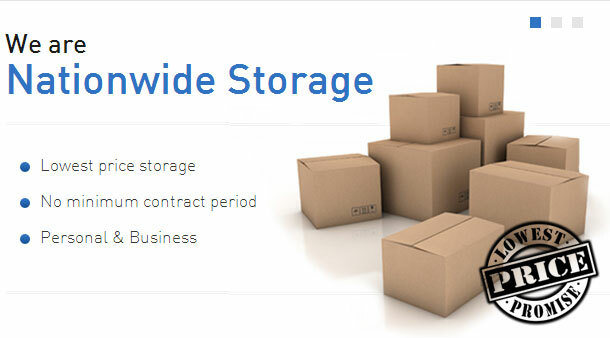 With over 25 years in the industry, Nationwide Storage are one of the leading providers of business storage, student storage and personal self-storage services in the capital. From our base in Ealing, we are perfectly located to serve domestic and commercial customers throughout West London, including Acton, Park Royal and Wembley, offering high security storage at affordable prices. With no time limits in place, and with units ranging from 12 to 1,000 square feet in size, you can store as much as you want for as long as you want, and our 24 hour alarm system and complete BT Redcare coverage mean your belongings are in the safest possible hands. Whether you’re looking to store a few bits while moving house, or whole offices during a refurbishment, we are able to cater to your needs. We even provide individual padlocks personalised to you to give you unlimited access to your items, 6 days a week. As a first rate storage company, we also offer professional and efficient removal services to help get your possessions to and from our facilities. With pickup and delivery catered for, our team operate a variety of removal transport suitable for all purposes, and provide a wide range of packaging materials, including boxes, bubble wrap and tape. For more information about any of our removals or storage services, get in touch with Nationwide Storage today.